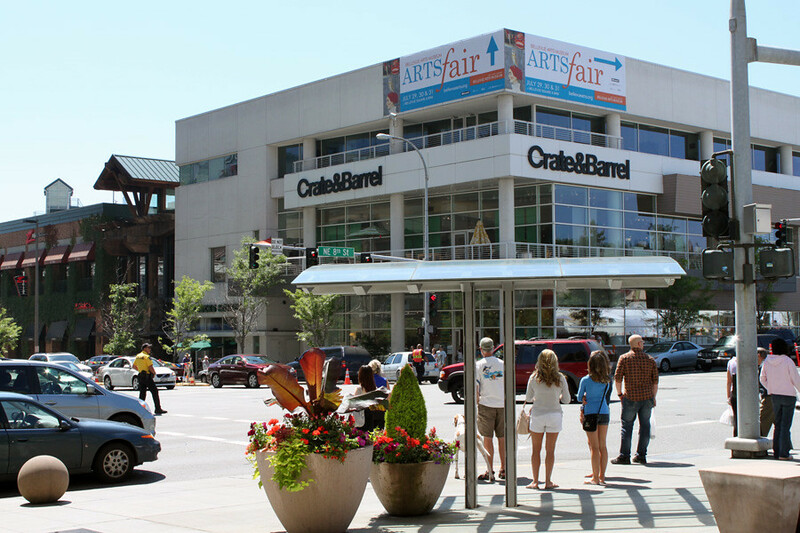 The largest and most distinguished arts event in the Northwest, the 2018 Bellevue Arts Museum ARTSfair will exhibit the outstanding art of over 300 juried artists from the Northwest and throughout the country. 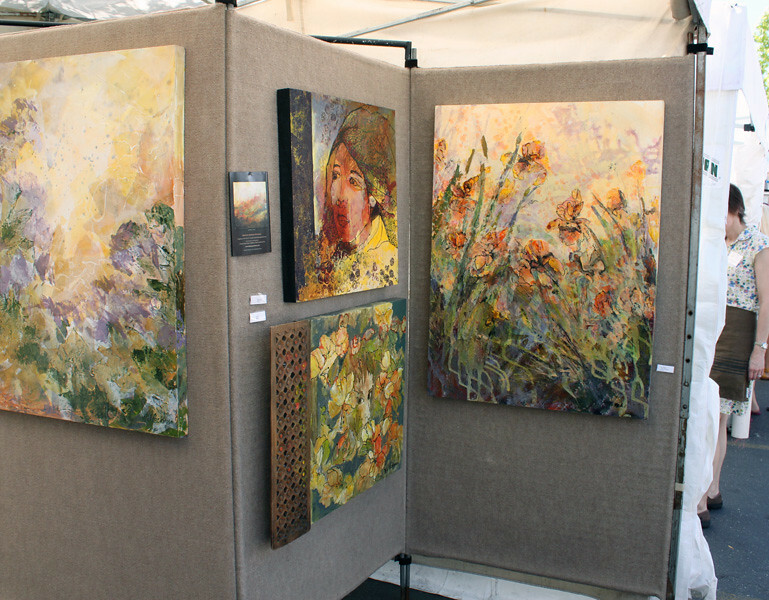 The extensive range of mediums include drawing/pastels, fiber, furniture, glass, jewelry, metal work, mixed media, painting, photography, printmaking, sculpture, wearables and wood. 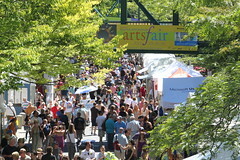 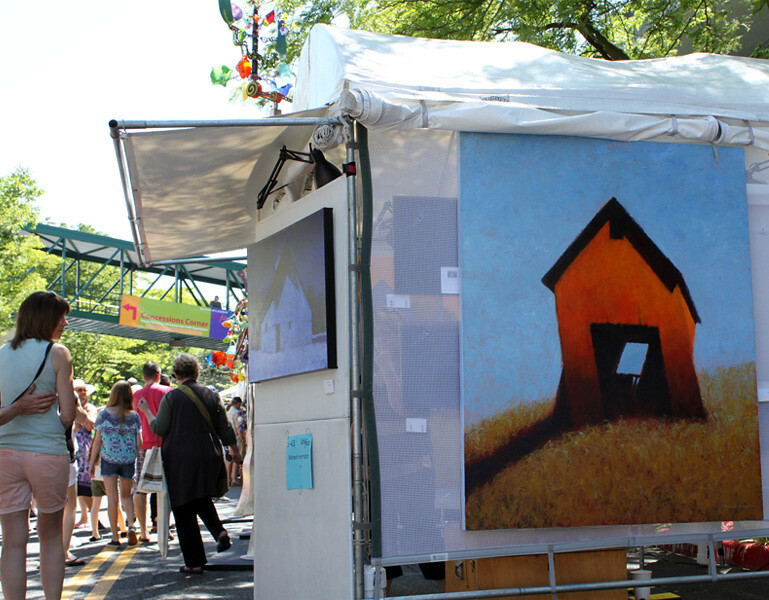 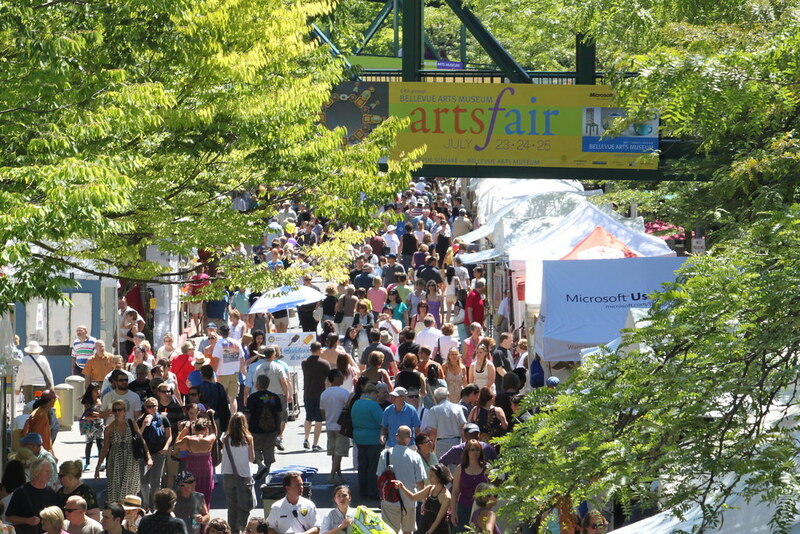 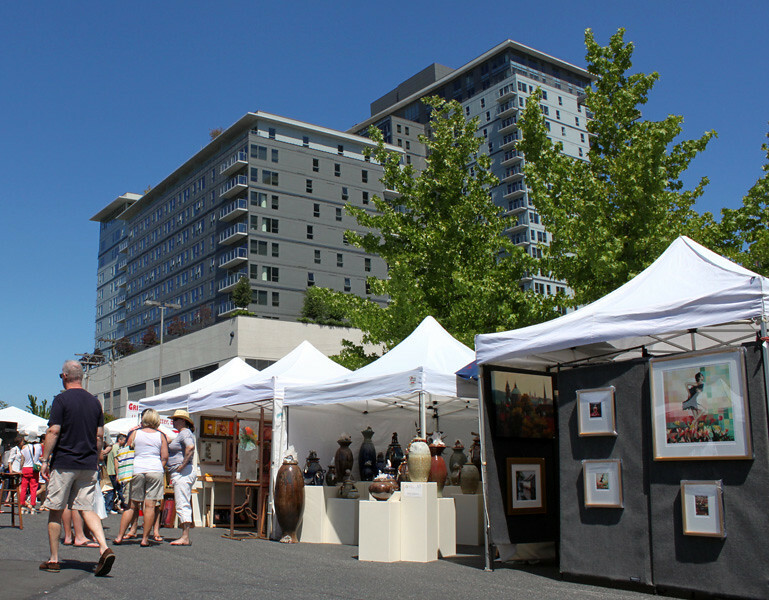 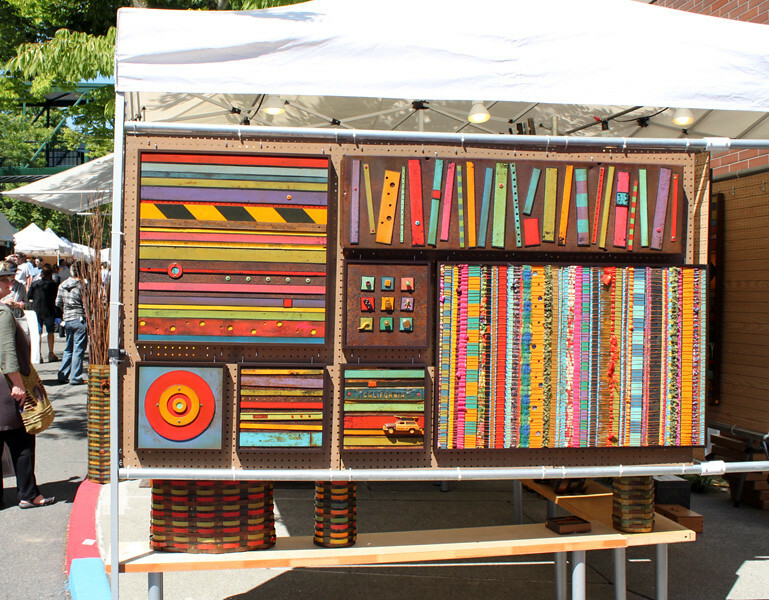 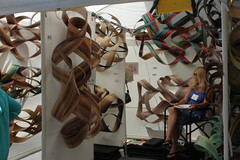 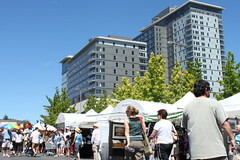 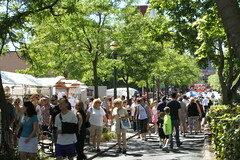 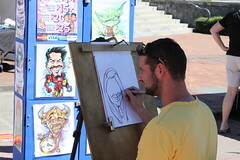 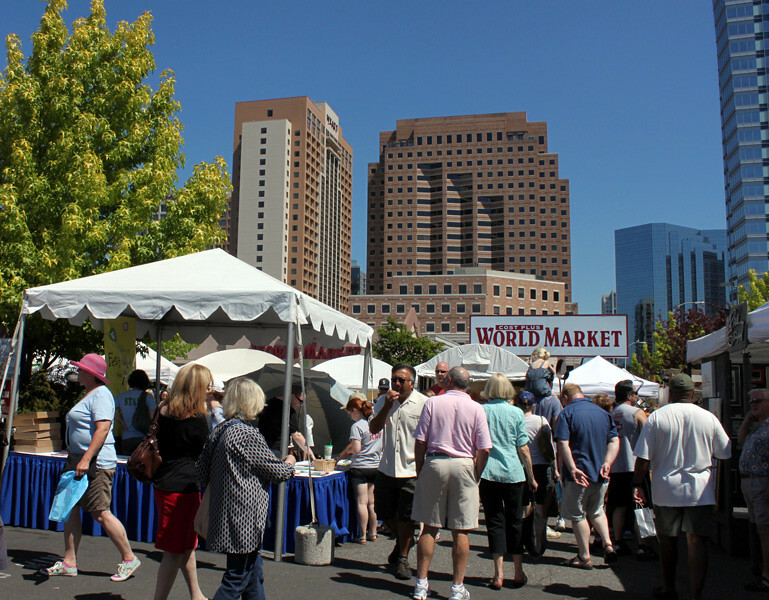 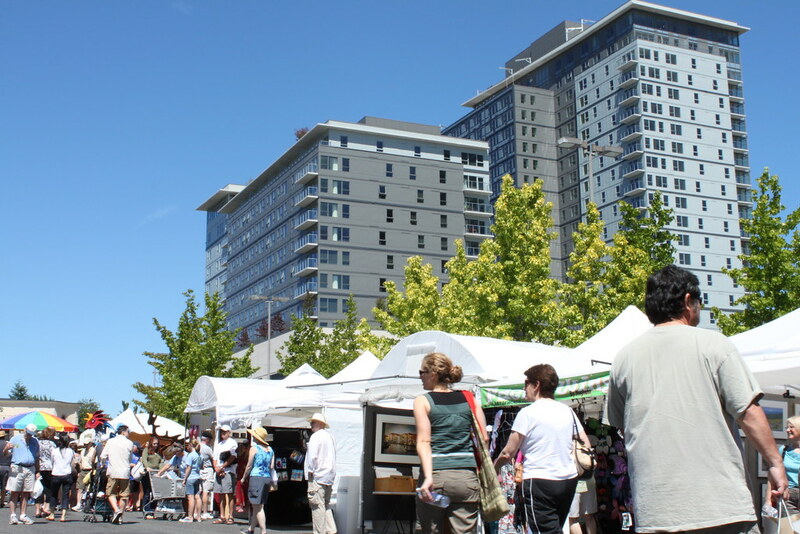 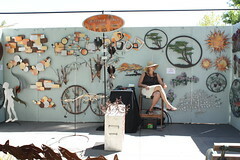 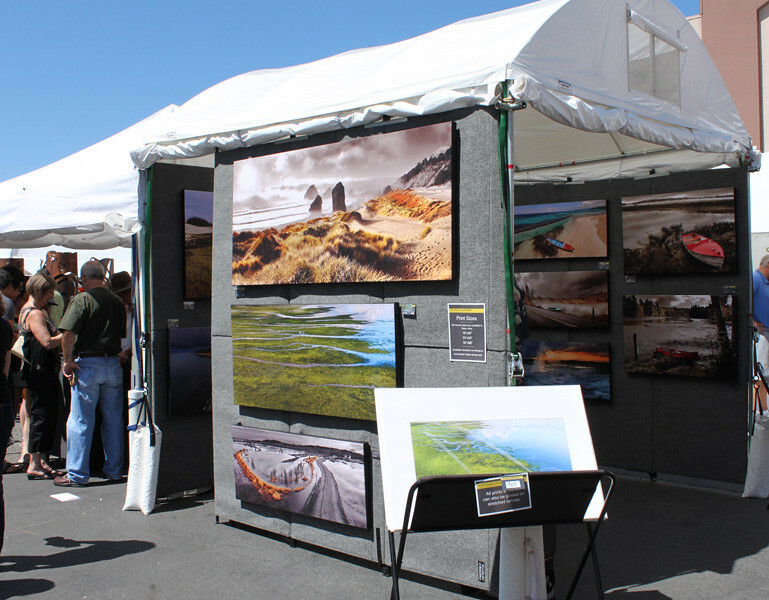 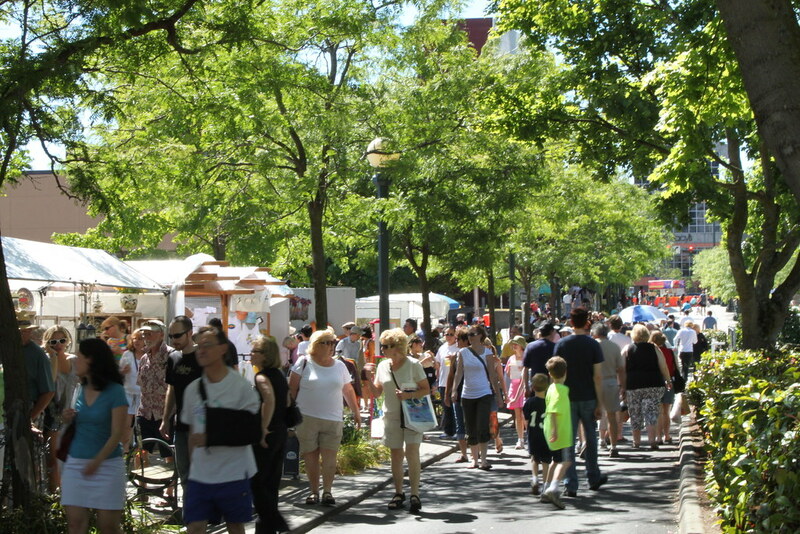 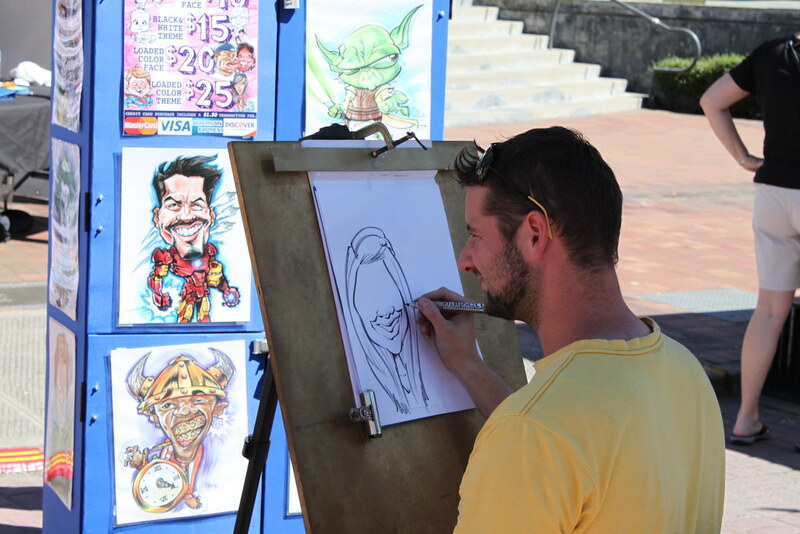 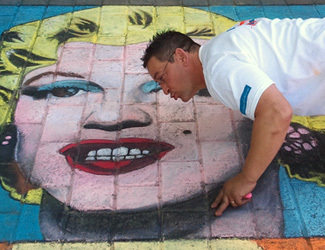 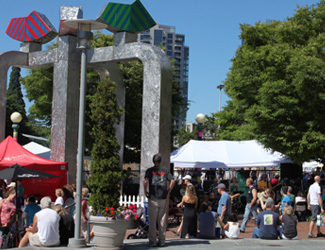 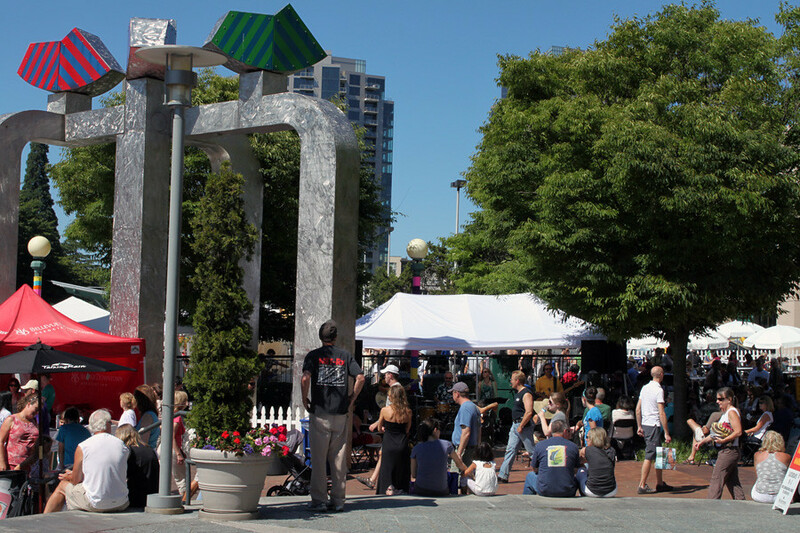 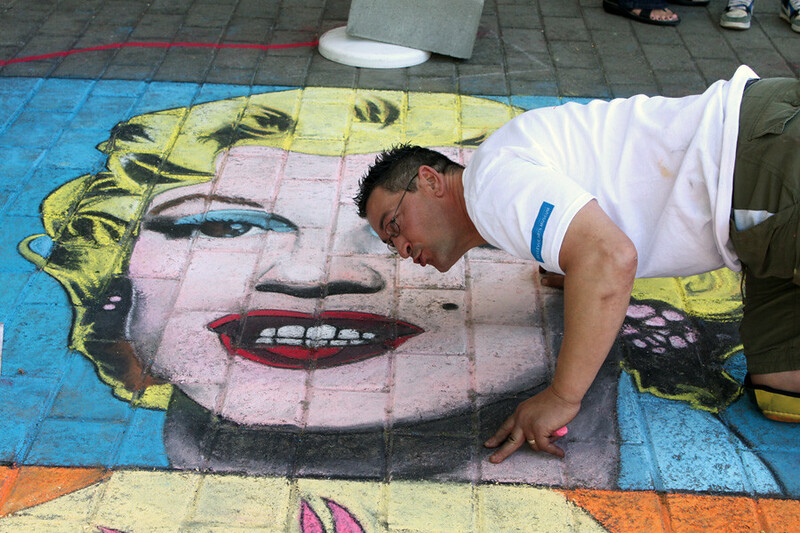 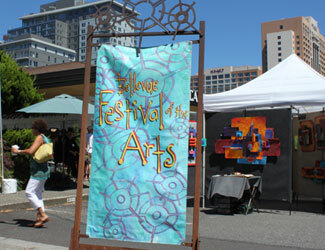 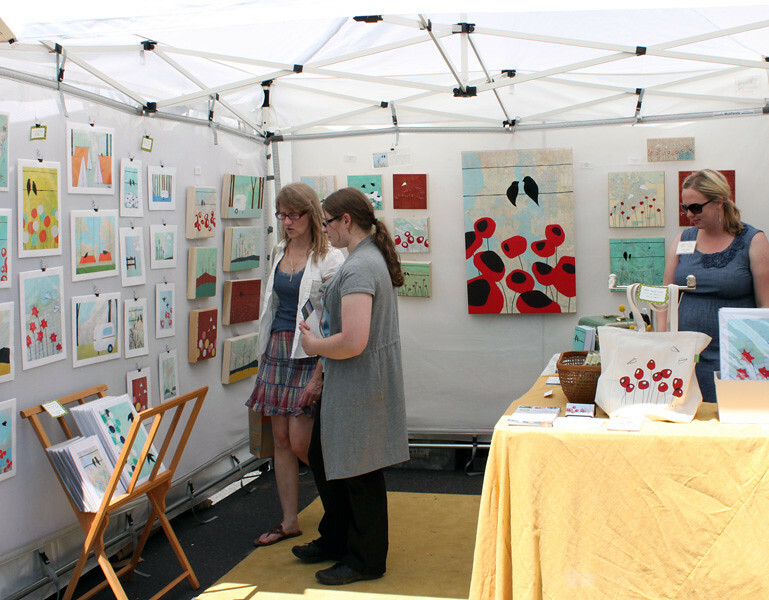 Bellevue's signature arts festival weekend. 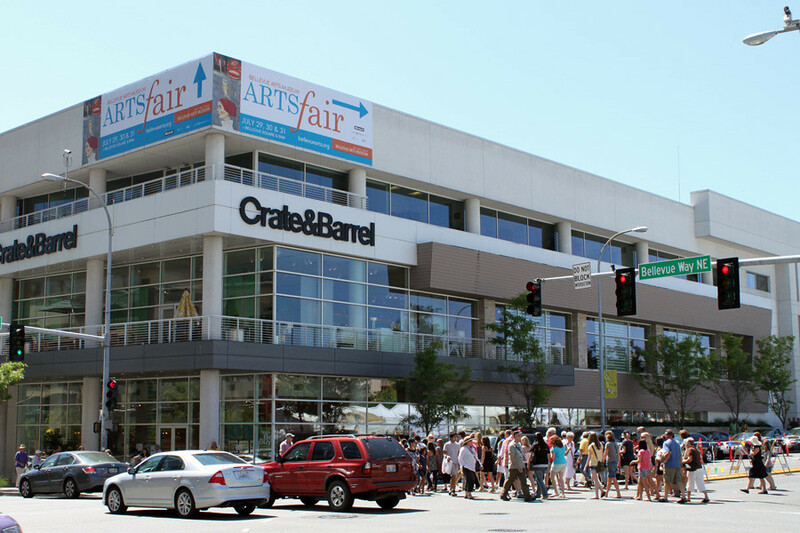 Come get a taste of the arts! 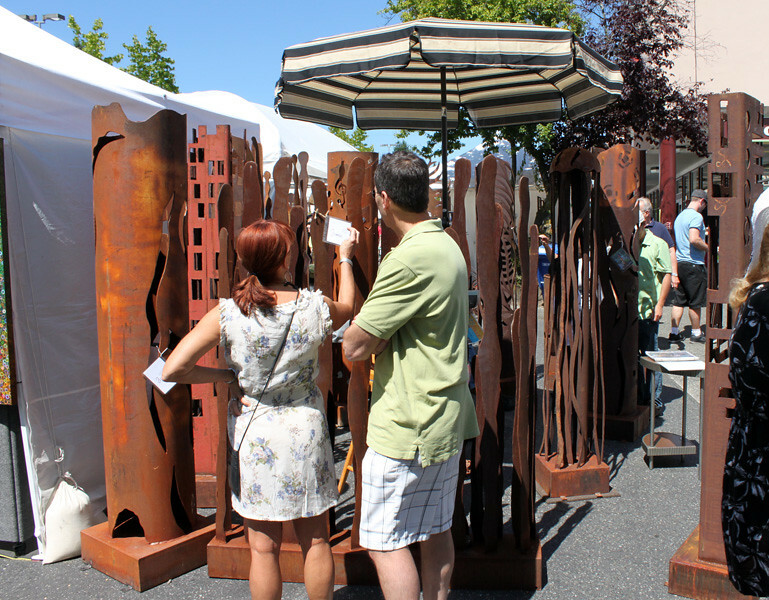 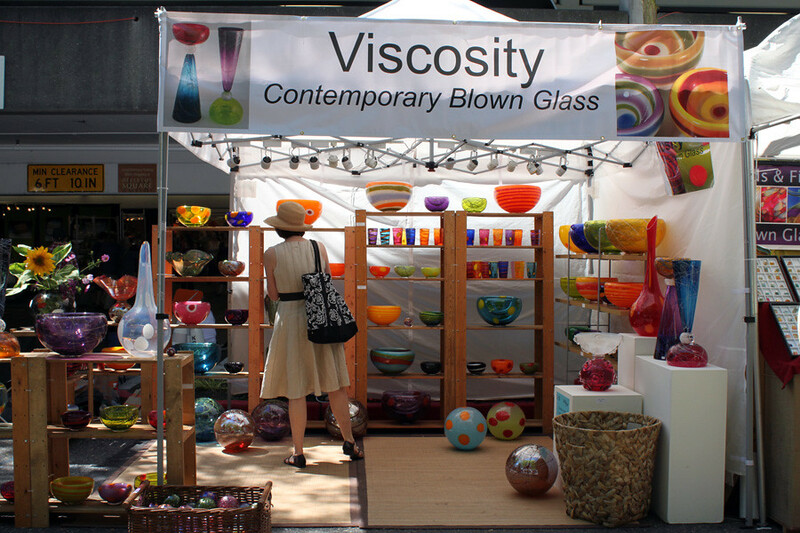 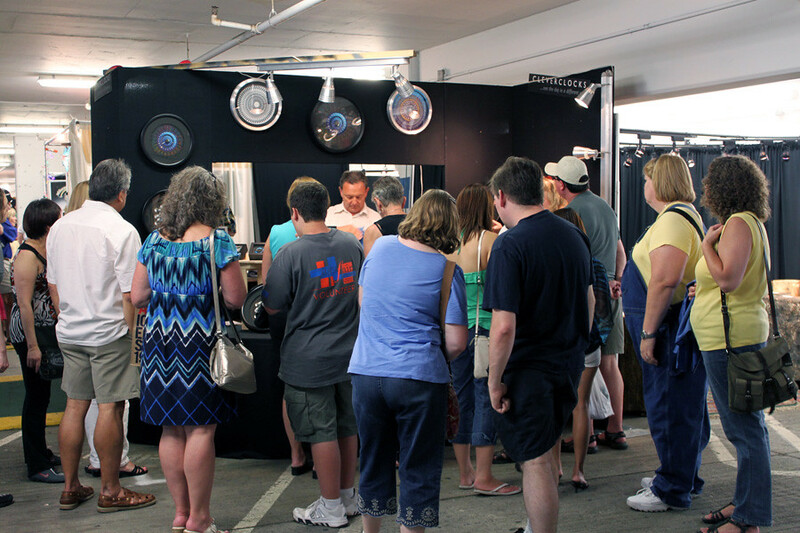 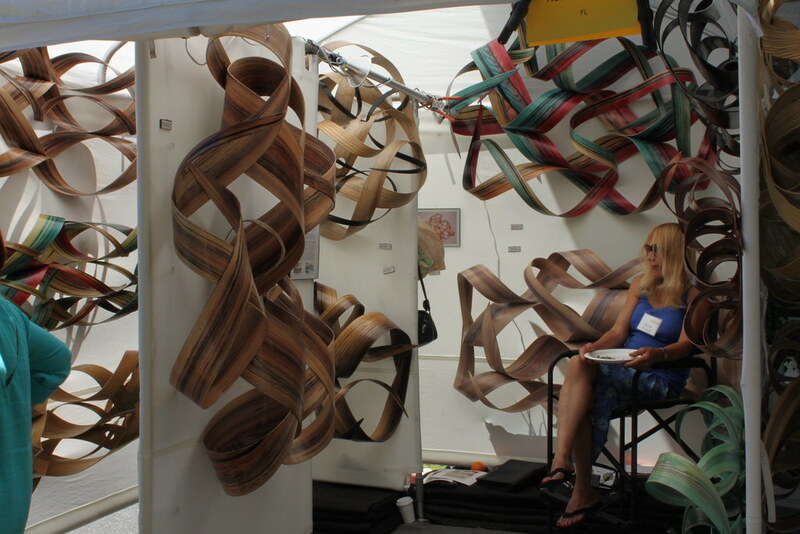 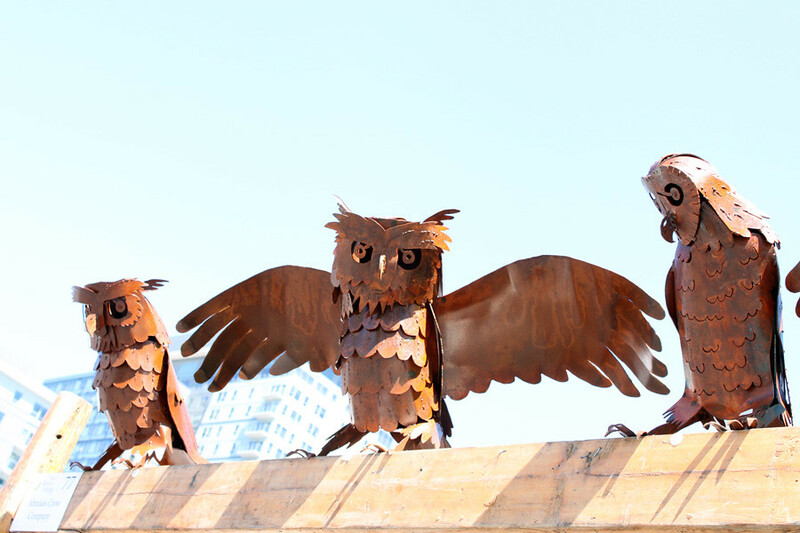 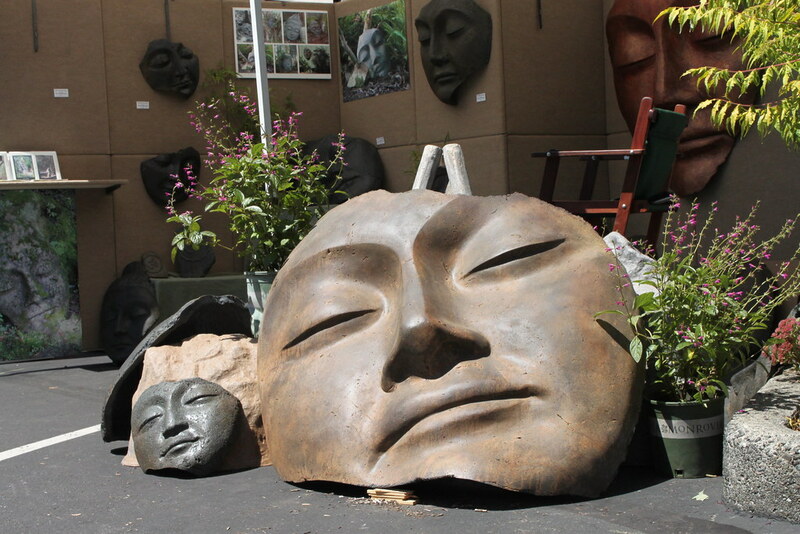 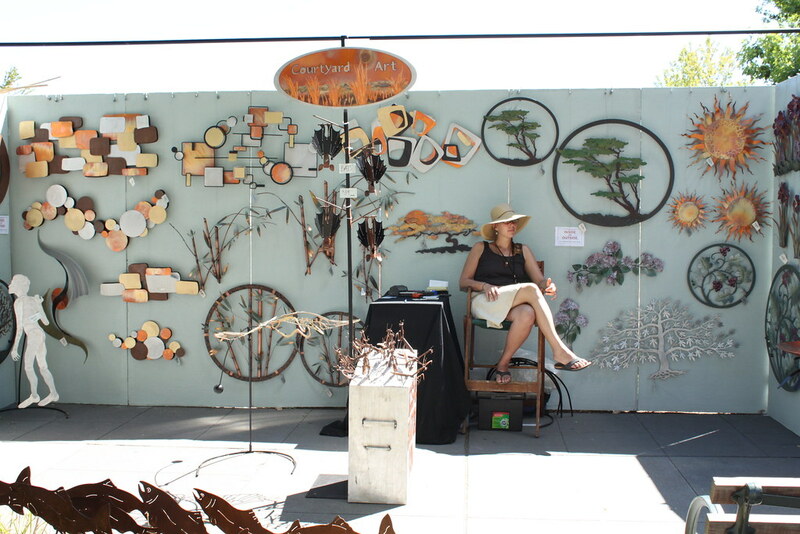 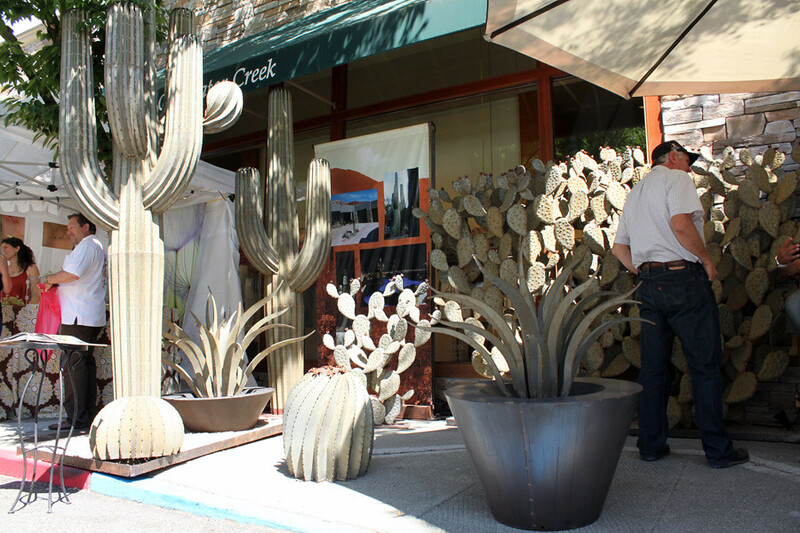 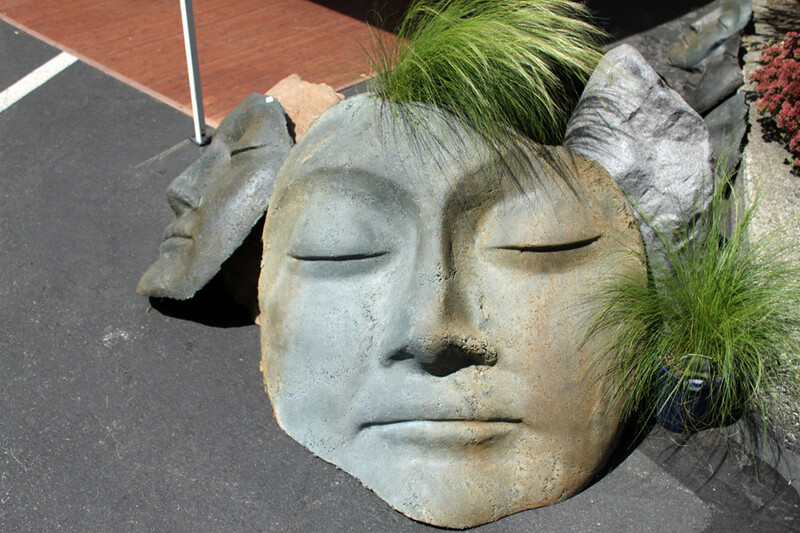 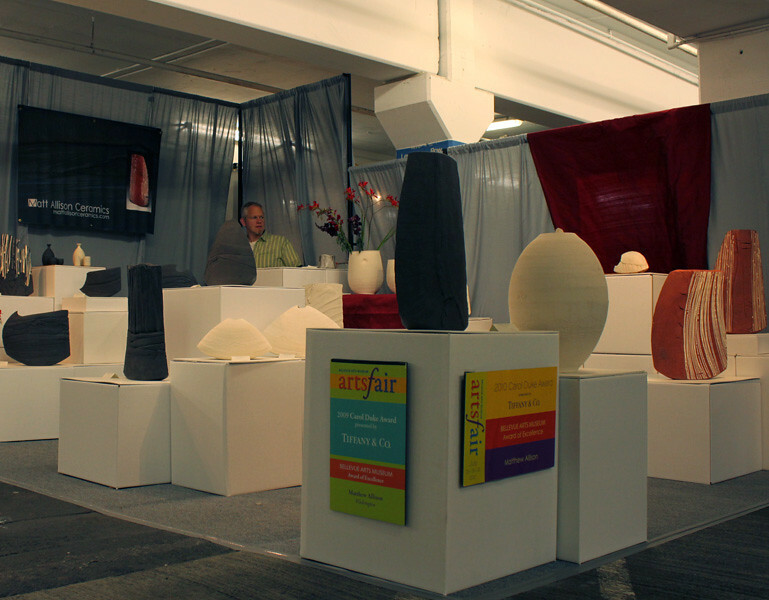 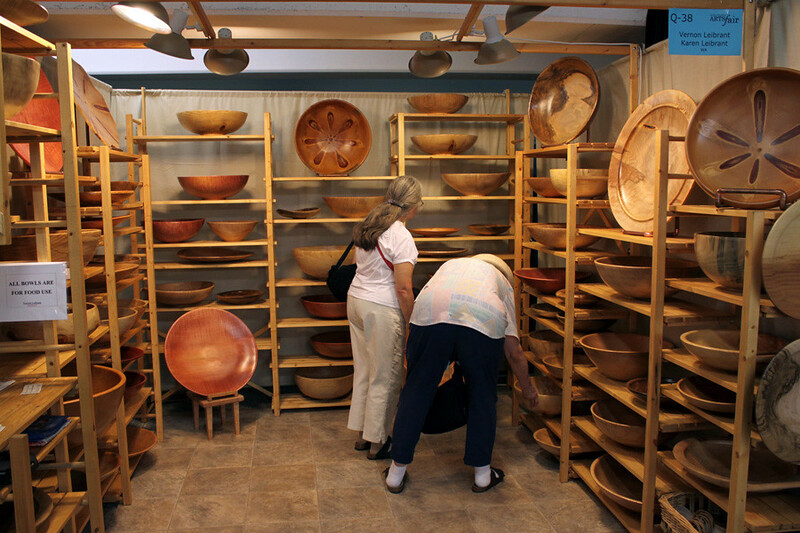 You'll experience the original work of more than 120 artists in an open-air showcase of sculpture, jewelry, home décor, wood and glass work, fabrics and more. 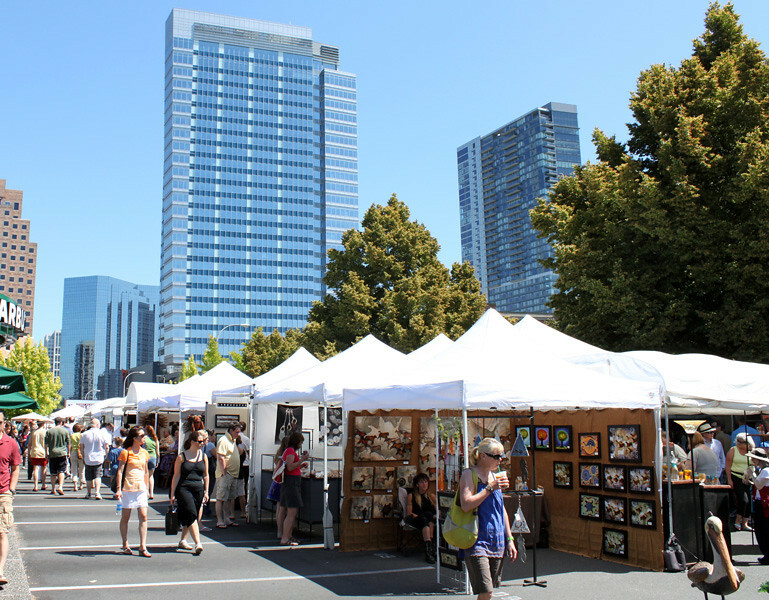 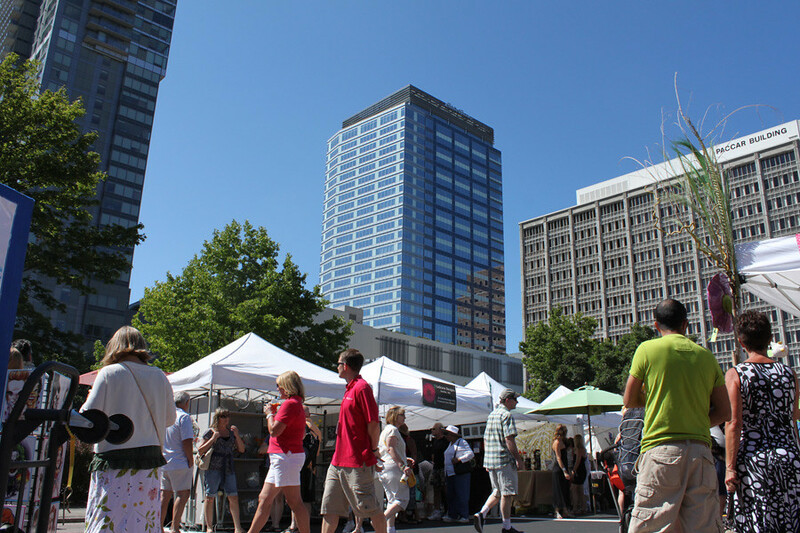 Bring the entire family, and plan for a weekend of fun in the heart of Downtown Bellevue. 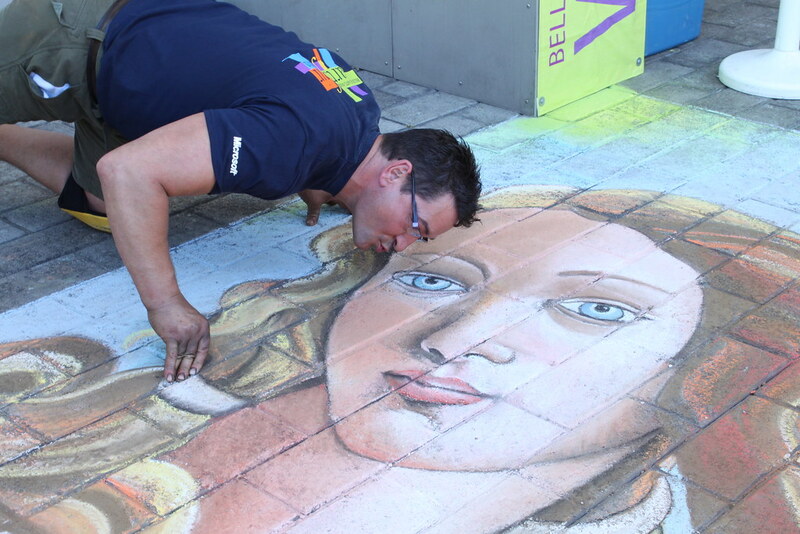 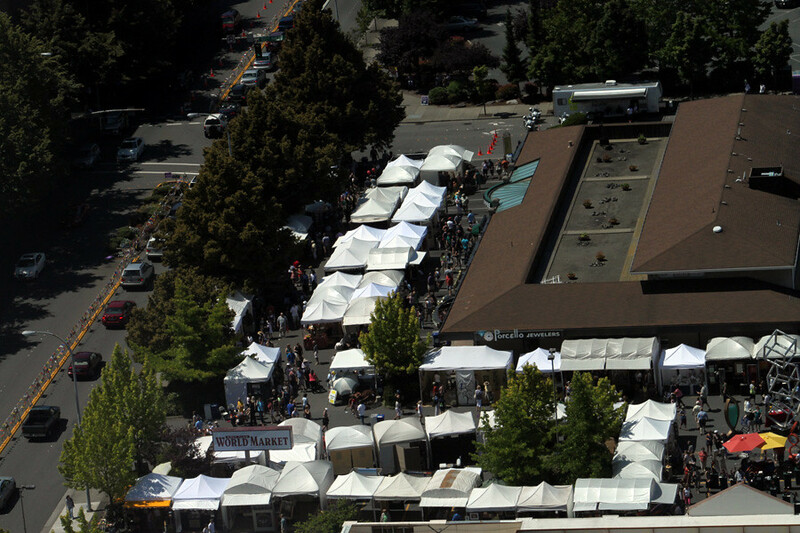 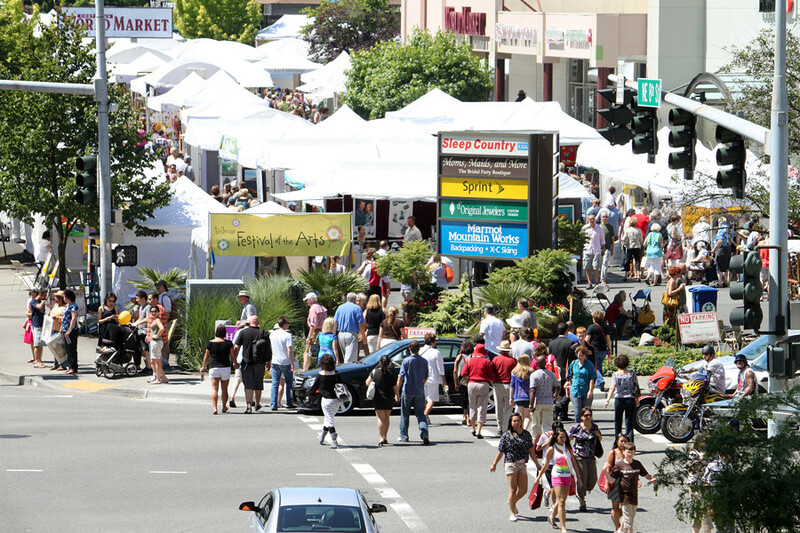 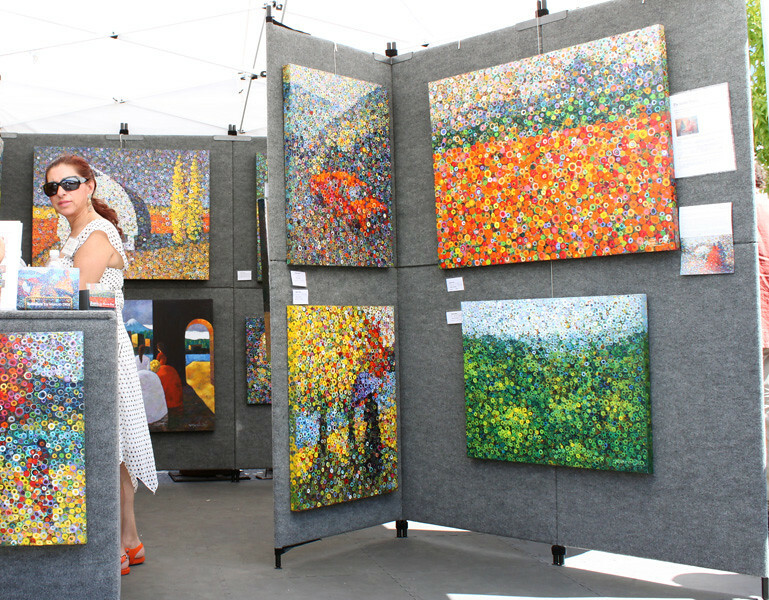 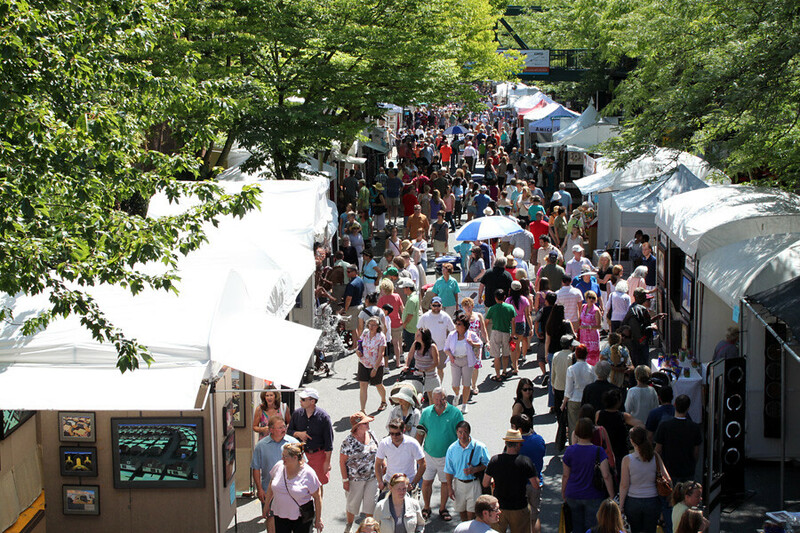 Now in its 34th year, the Bellevue Festival of the Arts is one of the Eastside's most exciting annual events, showcasing a rich variety of arts and crafts, plus live music and delicious food and drink. 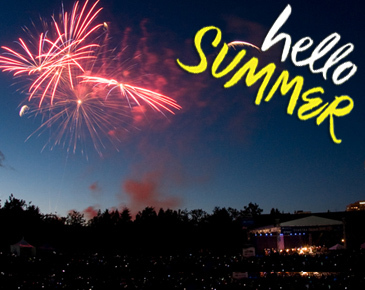 It's the perfect Summer outing! 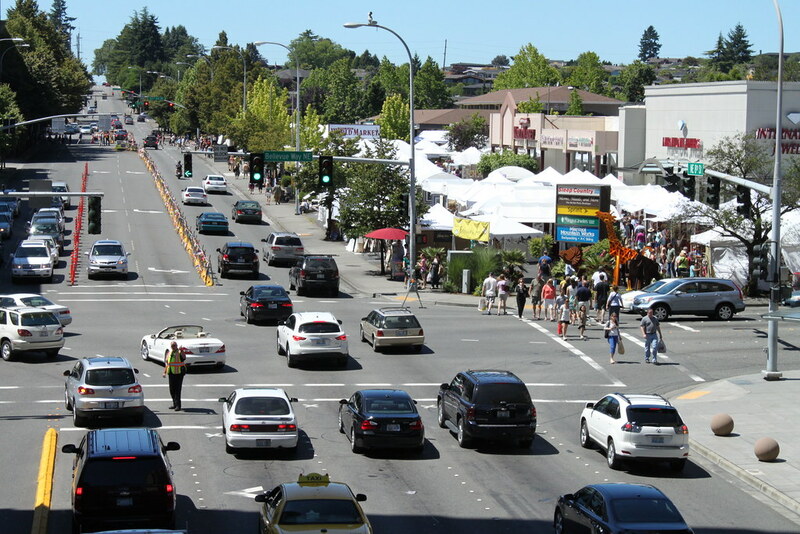 100th Avenue NE, from NE 8th Street to NE 10th Street, will be closed in the southbound direction from 7am to 9pm on Thursday and from 5:30pm to 10pm on Sunday. 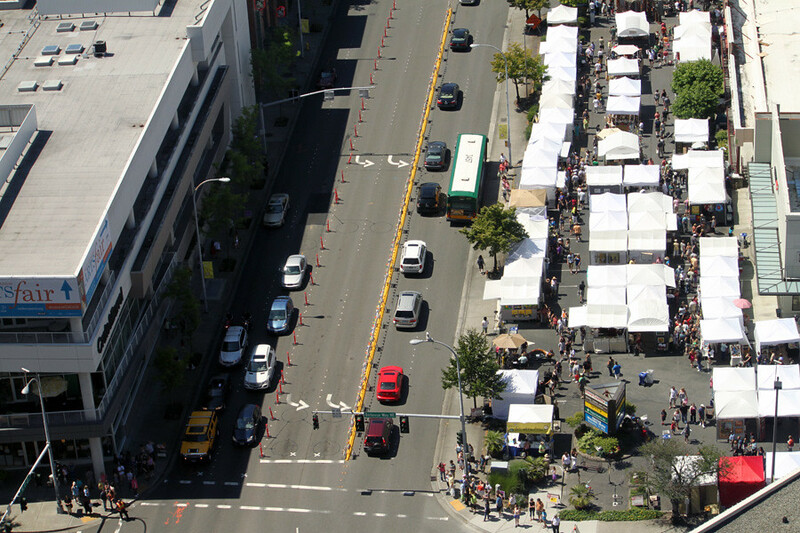 102nd Avenue NE, from NE 8th Street to NE 10th Street, will be closed in both directions from 7am Friday to 11pm Sunday. 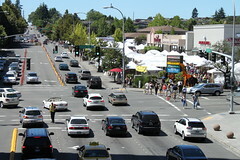 106th Avenue NE, from NE 4th Street to NE 6th Street, will be closed in both directions from 6pm Thursday to 11pm Sunday. 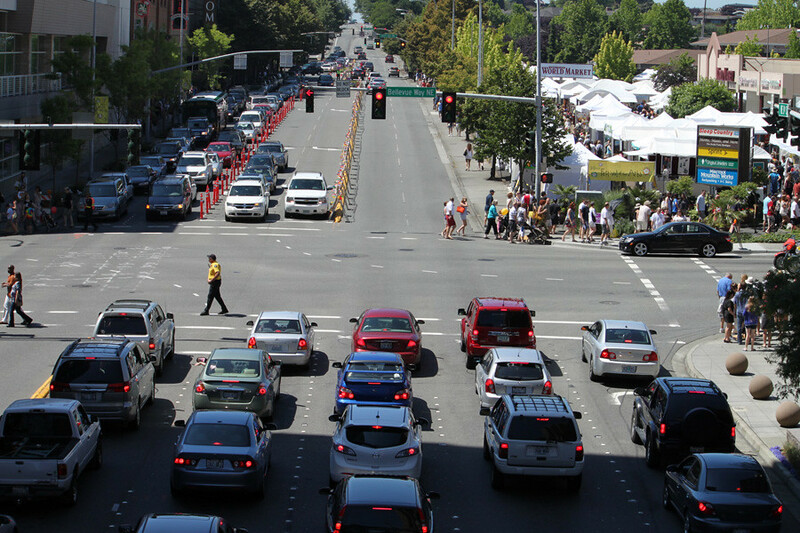 NE 6th Street, from Bellevue Way to 106th Avenue NE, will be closed in both directions from 6pm Thursday to 11pm Sunday. 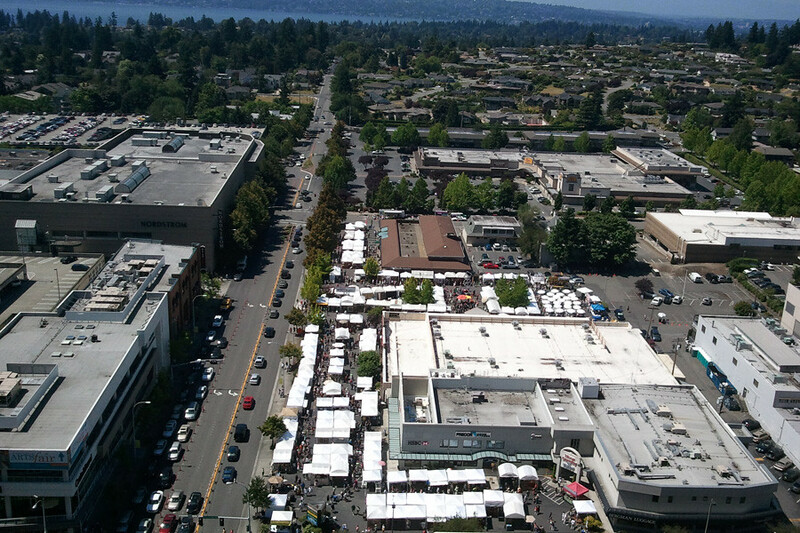 NE 10th Street, from 106th Avenue NE to 108th Avenue NE, will be closed in the westbound direction from 5pm to 10pm Thursday.